Paul is a shining example of a person who has immersed himself in photography for personal healing, both mental and physical. His photography is self-taught and embraces the use of lighting and location. His journey began with a love of water and the purchase of a kayak. 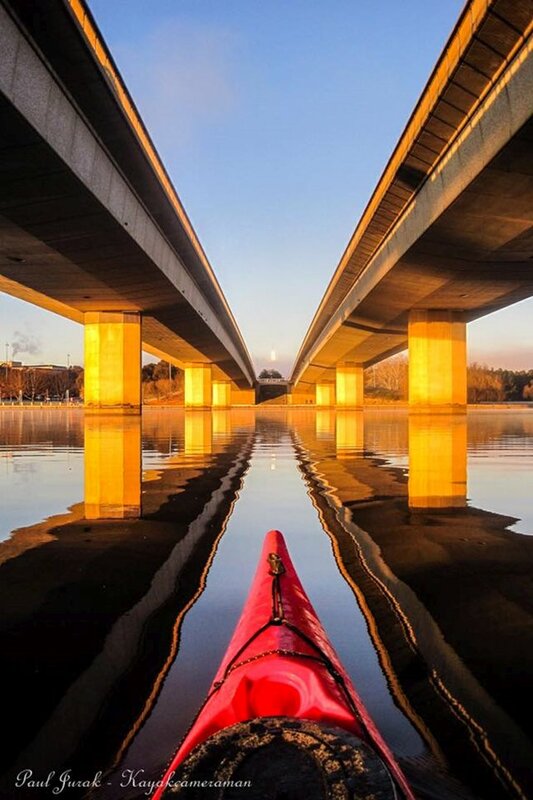 He utilises the early morning and late afternoon light, combined with the calm waters of lake Burley Griffin to create stunning images. This is not all that his photographic journey involves. His participation in events in the ACT, the balloon spectacular for example, along with his images on social media, have contributed to the rising number of people on the water embracing the thrilling atmosphere of these events and his lifestyle. Travel photography is also an important part of his life. Join us as we go on a journey into the magical world of 'Kayakcameraman'. This talk will start at 10:00am and end by 12:00 noon. The Photographic Group meet on the last Friday of the month in the Gardens Theatrette.